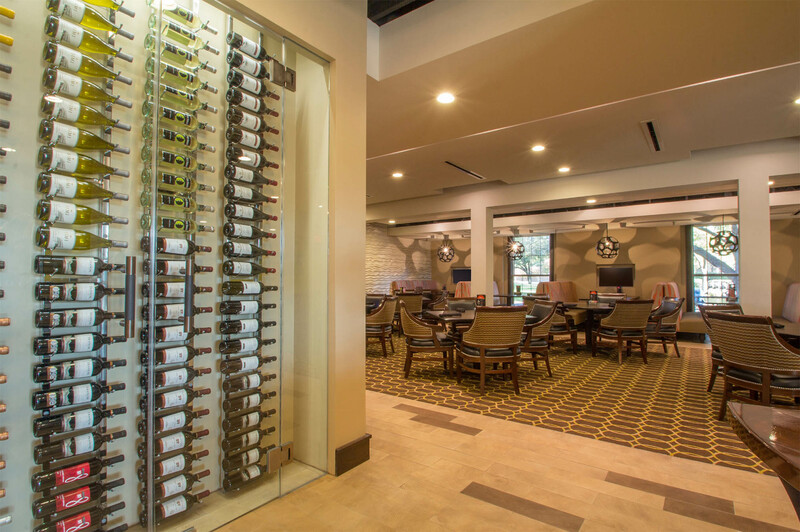 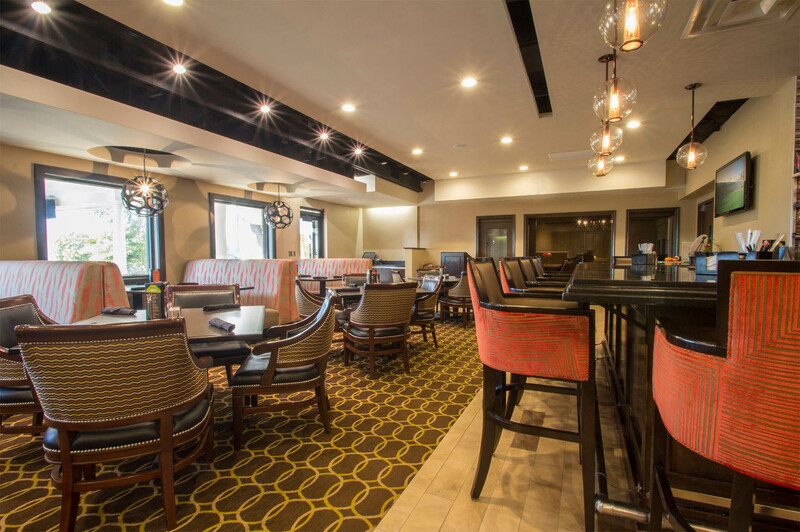 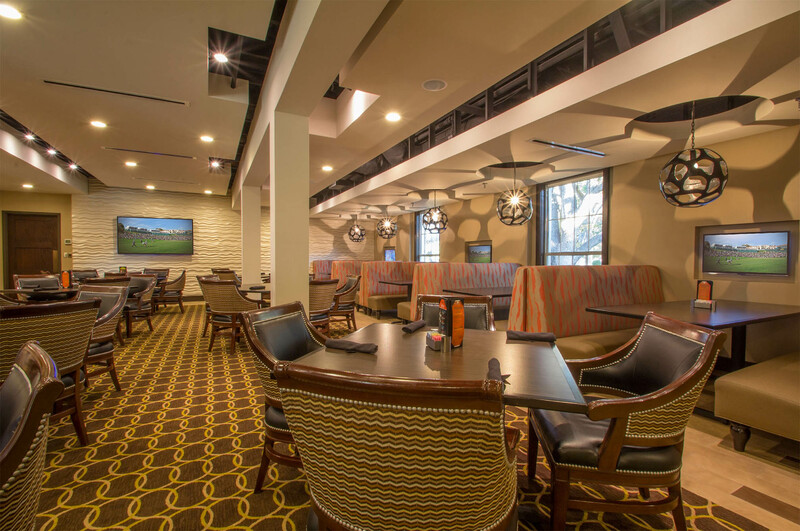 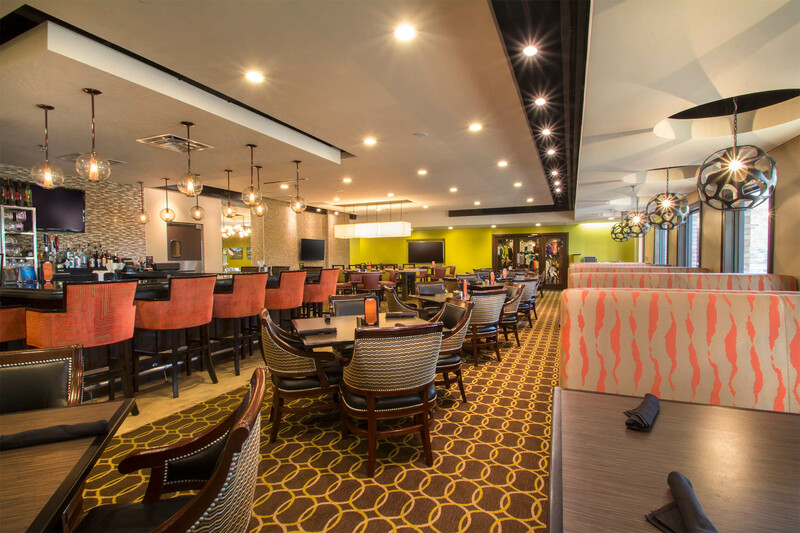 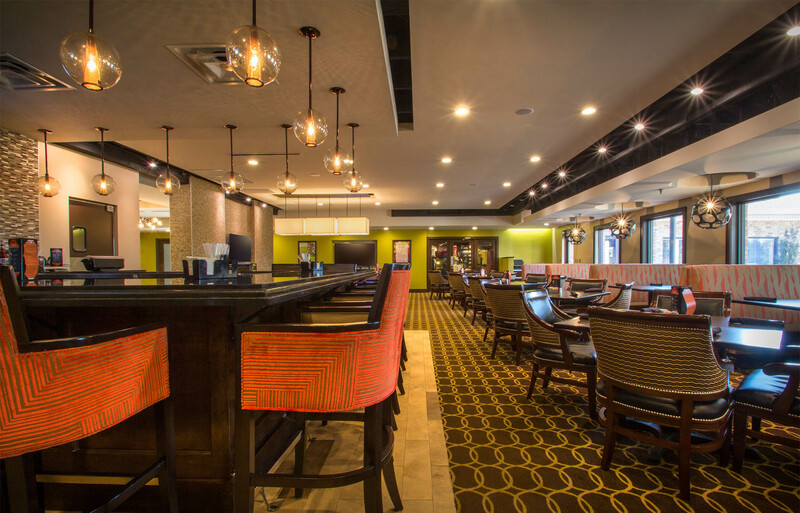 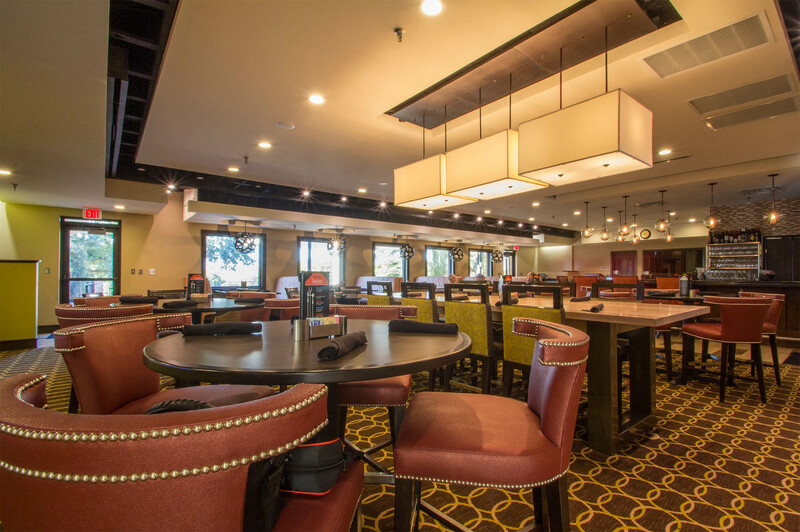 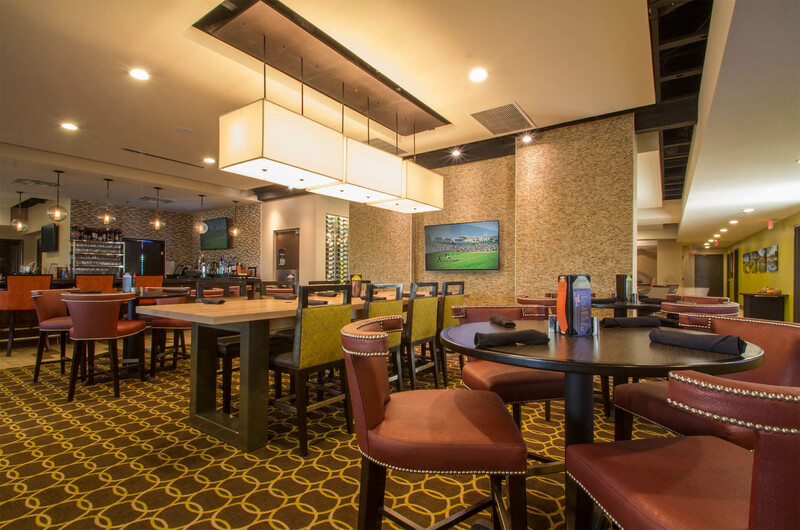 Canyon Creek Country Club is another example of a clubhouse bar and grill renovation that is becoming a more important feature within hospitality and club spaces. 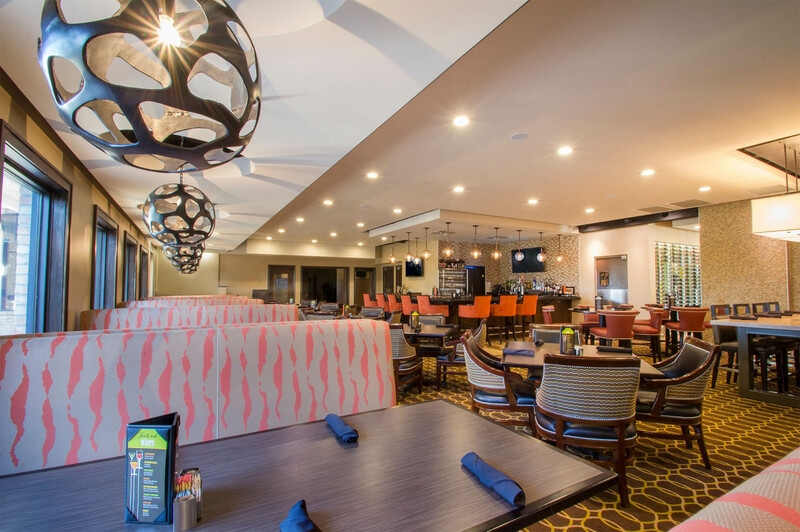 Whether it’s a golf-centric member or more social users of the space, community and dining experiences have emerged as a must-have amenity – and it’s gotta be a fantastic place to spend time. 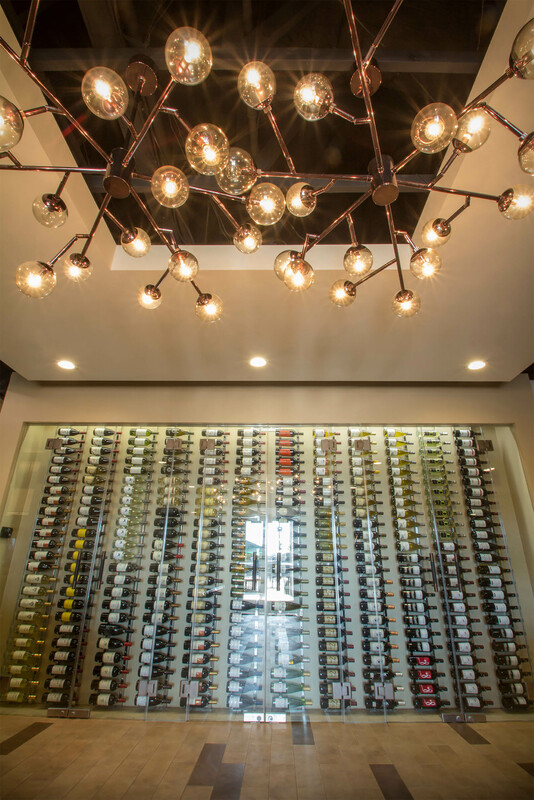 Entry to the club bar+grill begins with a gigantic wine case and eccentric chandelier overhead. 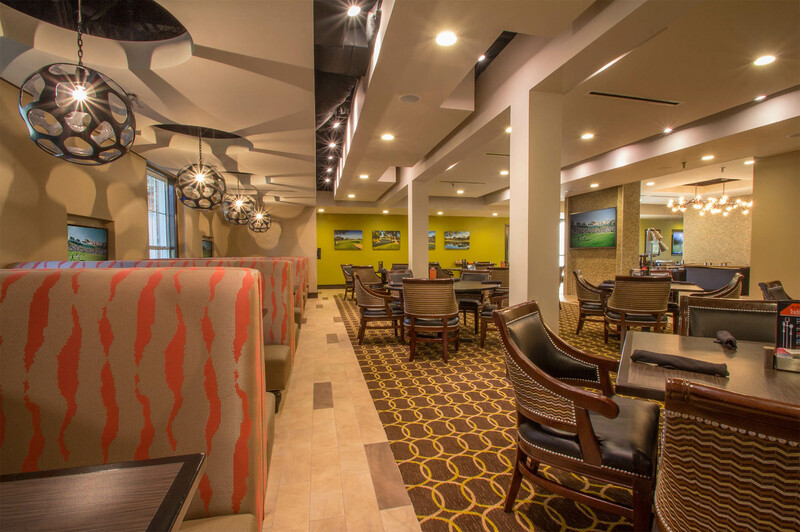 It’s the perfect first impression upon walking through the front doors, but also provides a bit of privacy for members who are enjoying the space beyond. 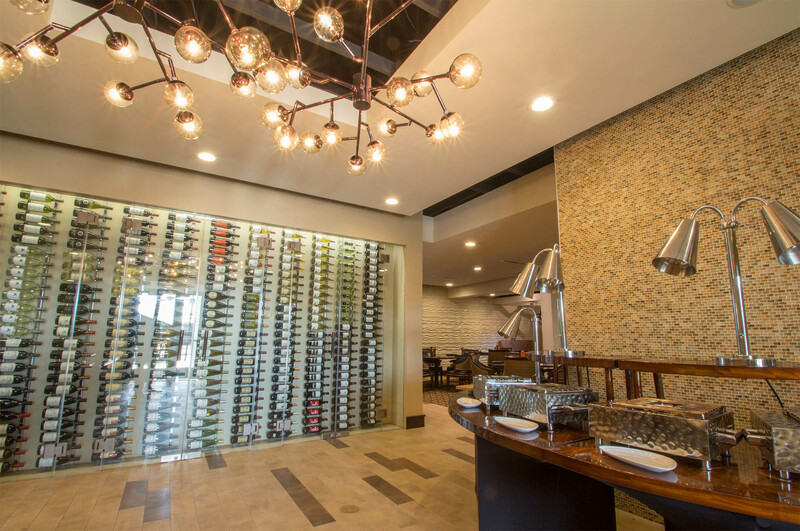 Swing around the corner and you peek down the renovated grill area. 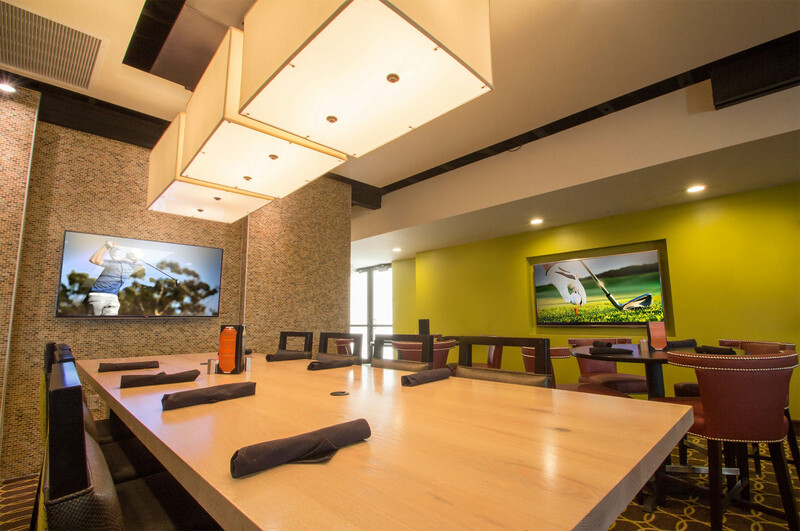 A few community tables rest against TV walls, giving members a casual option for dining, working, or just hanging around.